Were you looking for American Home Shield or Extended Warranty Scam Lawsuits lawsuits? Lawsuits have been filed against various home warranty companies alleging the companies practice bad faith insurance. Specifically, customers allege in these home warranty lawsuits that home warranty providers—that is, third party administrators (TPA) that offer extended warranties—illegally deny claims, a situation similar to having an insurance claim denied. Home warranty companies offer extended warranty service contracts to cover the repair and replacement necessary to keep appliances and other mechanical systems in a home in working order. Often, a retailer such as Best Buy, Wal-Mart, Sears or Home Depot, will offer customers an extended warranty that would provide insurance coverage on their purchase beyond the typical one-year warranty coverage that the manufacturer (e.g., Amana, Maytag, Whirlpool, Viking, Miele, Kenmore) would provide. The extended warranty is not managed by the retailer—it's simply offered by the retailer at the time of purchase. The companies that provide extended warranty contracts are called third party administrators (TPA), some of which are listed below. 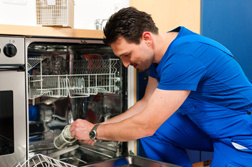 Systems and appliances that may be covered by a home warranty include heating systems, central air conditioners, garbage disposals, ovens, dishwashers and refrigerators. Optional coverage can often be purchased on pools, spas and other devices. Home warranties are meant to cover damage caused by normal wear and tear, not damage that involves pre-existing conditions, owner's negligence or extraordinary use. 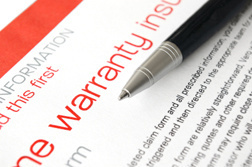 Furthermore, home warranties are not meant to overlap with a manufacturer's warranty or homeowner's insurance—that's why they are often referred to as extended warranties—they "extend" beyond the warranty coverage provided initially by the manufacturer. Home warranty insurance or extended warranty contracts are provided by companies such as American Home Shield, First American Home Buyers, Old Republic Home Protection, Cross Country Home Services, Fidelity National Home Warranty and 2-10 Home Buyers Warranty. Home warranty lawsuits have been filed against various home warranty companies alleging they are guilty of practicing bad faith insurance. Bad faith insurance occurs when a policyholder's claim is improperly denied or delayed by an insurance company. Bad faith insurance can include practices by the insurance company such as not filing out paperwork in a timely manner, failing to conduct a proper investigation into a claim or using unreasonable grounds to deny a claim. In June 2011, a lawsuit was filed against American Home Shield by a couple who alleged the company improperly denied claims on the grounds of "lack of maintenance" or "preexisting condition," even though no inspection of the appliances in question was carried out at the time the policy was issued. The lawsuit, which seeks class-action status, further alleges that contractors were paid a bonus for denying claims. In 2009, a lawsuit was filed against First American Home Buyers Protection, alleging the company employs third-party contractors—some without licenses—to service customers' claims. Because the company pays its contractors so poorly, according to the lawsuit, the only way the contractors can make money is to cause a denial on claims, refuse expensive claims or perform cheap fixes. The lawsuit further alleges that First American trains its employees to deny legitimate claims, refuse to authorize necessary repairs and replacements, and delay the claims process for so long that the customer gives up and pays out of pocket to cover repairs that should have been covered by their extended warranty. In 2010, a lawsuit was filed against Fidelity National Home Warranty Company, alleging the company improperly rejected claims made by customers. 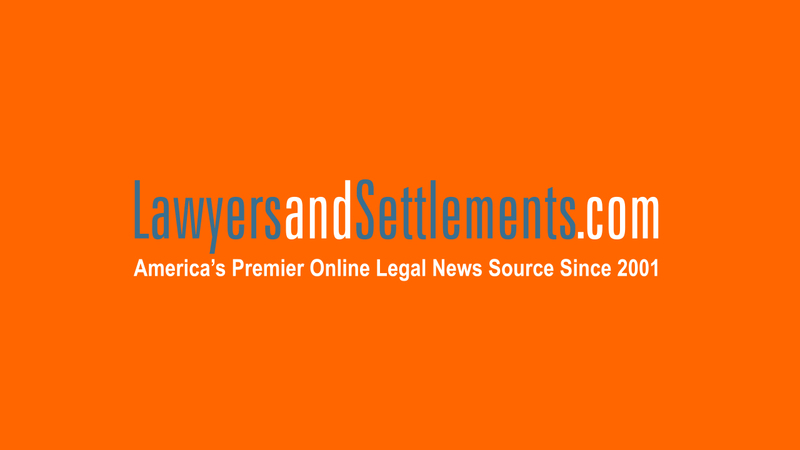 Furthermore, the lawsuit alleges that the company denies legitimate claims and trains its service providers to do so while refusing to authorize replacement of appliances. If you or a loved one has suffered damages in this case, please click the link below and your complaint will be sent to a Home Warranty lawyer who may evaluate your claim at no cost or obligation. Persistence Pays Off for Chapel Hill Extended..
Home Warranty Complaints Top Popular Online R..
Plaintiff’s Home Warranty Insurance Win Overt..
Home Warranty of America has refused to replace our refrigerator with a "similar" one, as contract says. The claim in 4/18 was for ice maker repair. After 7 visits we were told by Sears Home Service that a wire had been cut & the freezer could never be repaired. The Sears visit @ which that occurred has been isolated, because it had worked for a couple of weeks from the visit just prior. Our refrigerator is a french door with water/ice dispensers on outside. HWA will only replace it with a plain refrigerator, not french door & no ice/water on door. HWA chose Sears Home Service, both sharing negligence in this and now they have breached the contract. Cannot talk to anyone with any authority, if one even exists. The person emailing us says he/she is assistant to President and has sole discretion and last say in these matters. We used to do work for choice home warranty and we are familiar with the tactics and deception practices they use on their customers,they trap the contractors the same way they do the customer's we have parted ways but if you do part ways with CHW for a contractor you have to decrease the work that you do for them over a period of time so you can recoup most of the money they owe you because when you stop taking the work from them they will cut you off and whatever is owed you will not get they will tell you too get in line to sue,you can do a public index search on them in Edison NJ and look at all the contractors and people that are sueing them . If any body needs any PROOF I HAVE IT FEEL FREE TO CONTACT ME. Reading through the Better Business Bureau's site re Home Warranty of America seems to be a continuing pattern of intent to defraud with most complaints having been issued in the last year. They have employees in place to perform bait-and-switch tactics where one employee will gladly take the information and indicate there will be an amenable resolution while multiple call backs yield rejection, denial and to my vendor's dismay, being laughed at when delivering the quote for the required service. of October I started have problems with my side-by-side refrigerator. The temperature in the freezer started fluctuating by several degrees. It got to the point that after 60 degrees I threw out the food. After contacting HMS, they dispatched A&E (Sears) to make the repair. control panel. He also ordered and replacement motor for the ice maker. parts said that the real problem was the master control board. the board, he ordered another board and a solenoid for the icemaker. they could get someone here would be November 12th. Not going to work! Select Home Warranty victims! Please email me at consumerstogether@gmail.com if you’ve been unjustly denied claims from Select Home Warranty. The more the people the bigger this can be. I’ve been through hell with this company and we as the consumers have to make sure they are stopped. Choice home warranty declined coverage citing storm and act of god policy denying coverage to repair and replace my AC unit . In 2016 Colorado Springs experienced a violent hail storm which damaged the fan and condenser coil they approved the repair and sent a repair specialist to fix the ac. The representative only fixed the bent fan blades and did not repair the coil. Choice covered the repair. We are moving and the new buyer wanted a maintenance receipt showing good condition within a 3month time period they did not accept the 6 month old service. It was then that we were apprised of the condition of the coils. Choice home refused coverage citing the storm and of god policy which they already waved regarding the original claim even after I brought it to their attention. Whew Re can I get justice. I too have had both good and bad experiences with Select Home Warranty. My only good experience has been just prior to renewal. When I renewed I actually renewed for 6 years to the tune of $2K. Service declined immediately. I had ad a sprinkler circuit go out. The contractor they wanted to send out would not come as he's had a bad experience collecting from them. So I had to hire my own then file back for reimbursement which I never got. Some year later my A/C went out. It was 28 years old. They offered me $100 to dispose of it claiming it had not been properly maintained. When I offered the maintenance log on it they said it was unacceptable as it had to be done by a certified A/C specialist. Interestingly their contractor was not certified and did not even own a truck. $5K later I had to force him to remove the old unit and the old materials in the attic which required him to rent a you haul. Only later did I find he replaced it with a 4 ton instead of a 5 which was the original. Now I have a $600 dishwasher that they say is to expensive to fix and have offered me $150. Remove my deductible from that and it is really under a $100 for a unit just 4 years old. First American Home Warranty's contractor said he was going to replace parts on my HVAC. When, a month later, they found the parts were no longer available, they conspired to claim it was a preexisting condition and not covered. I have good documentary evidence of this, and am in arbitration in Arkansas. Feel free to contact me at bohemian_books at yahoo dot com. AHS refused to replace my water heater because, according to them, my house was not up to code. Even so, I asked the city in which I live to come out and do an evaluation of my home. They said everything was all right, with the exception of adding an expansion tank for the water heater. The expansion tank only cost 39.00. I called AHS and explained that to them, but they simply said, “We are the only one who can get your house up to code if you want AHS to install your water heater. Then, AHS said, “You must first pay us almost 600.00.” I then reported them to the BBB and they stuck to their way of thinking up until I told them I was going to sue them, which was by then 3 months later and they offered me 575.00, which I refused. Since by that time I had already paid home depot to replace the water heater. I have them on my voice mail telling me they will not replace the water heater, unless I pay them the almost 600.00 to get my house up to code. I thought about taking them to small claims court. Please respond by email to me. Thank you so very much. I've been trying to get in contact with Total Protect Home Warranty for over a year now regarding a claim. Every time I email them, I just get a canned email response from a robot. I've sent them the claim information they requested both as a scan and in text form multiple times, and I've even asked how do I get in contact with a human? But nothing. Just another of the exact same email automated response. Add me as another Select Home Warranty customer with poor service. I bought their warranty thinking I had comprehensive coverage only to find out 2 months later in a contract they emailed to me, which I never saw nor signed, that while they cover said items, there are plenty of ways out for them so they don't actually have to pay money out or if they do, it's for a tiny amount of the actual cost. I really wish someone would do the lawsuit just to get back at these guys for their bait and switch line of business. What a waste of money and complete scam. Posting to hear anything regarding Total Protect Home Warranty Company. My home warranty company denied me for something they told me to fix after i had it fixed (i recorded the conversation) I ended up having to sue them which i won it took over a year. I am experiencing issues with Select Home Warranty regarding a plumbing claim. They have denied my claim with 4 different reasons over the course of three days. The minute I rebut their reasoning, citing their own home warranty and terms of service, they just find another reason. I have spent far too much time trying to resolve a $500 claim - a legit pipe leak that should be covered. That said - I am very interested in hearing from an attorney who may be interested in a class action lawsuit against Select Home Warranty. There are so many similar complaints all over the internet and the company is less than 5 years old. I purchased a Kenmore refrigerator back in November of 2016 three weeks later the refrigerator stop cooling completely. I called the warranty company and it took 7 weeks for the repairs to be completed. Between the horrible customer service and appointments being set and no shows was a nightmare. I called several times and told the customer service agents that I have children under the age of 5 in the home and expressed my sense of urgency. I also explained we were using ice chest for all items that required to be kept cool. However, my concerns were not a priority. As a result of this incident with the refrigerator, I was offered a home warranty for all my appliance which I purchased after the agent convince me if any of my appliance every have any problems a home warranty would bring me peace of mind with repairs. I went on a rant about how horrible my experience was with the refrigerator situation and she assured that was not how Sears does business and would address my concerns. On June 20, 2017, our garage door opener stop working. My husband went to buy a new garage door opener then I realized we had the Sears home warranty plan and decided to call to see if the garage door was covered under the warranty and it was covered. Great news right!! Wrong, I asked what was covered in our appliance warranty plan and was told I didn’t have an appliance plan it was a system plan. I explained to the agent that I was mislead. She then went on to offer the whole house warranty for $10.00 more a month and it would cover the appliances and systems. I agreed under the condition that the Sears home warranty would deliver exceptional customer service as stated in the welcome kit. Otherwise, it would be my opportunity to shop around for anther plan. She assured me it would be a great experience with more coverage more benefits and more peace of mind. My Garage door opener claim was opened on June 21, 2017. My appointment was scheduled for June 22, 2017. I then received a call later on June 21, 2017, that my service call was being rescheduled for Friday, June 23, 2017, between 8:00am-12:00pm. On June 23, 2017, we waited all day for the technician and no one came. I decided to call the office and was told no work order was in the system for a Friday service call (June 23, 2017). They advised the call was scheduled for Thursday June22, 2017. I advised the agent no one came to my home. I then requested for a manager to call me back and never received a call back nor reschedule of the home visit. On Monday June 26, 2017, a gentleman came to our house (no appointment) to assess the repairs. He first started off by telling us the garage door was out dated and Sears does not replace that model. He then went on to try to talk us into buying a new model which is the latest and the cost to replace was $799.99. I told him it was not my understanding that my garage door opener would not be replaced or repaired unless it was a part not covered in the warranty. He then said he can repair but would be a refurbish garage door opener and it would take a week for the item to come in. We agreed and only had to pay the $100.00 deductible. On Monday, July 3, 2017, another technician is at our front door. He starts to asses the garage door opener and again he tries to sell us a new garage door. I then was confused because I thought he was here to repair the garage door with the part that was ordered. I then explained that a tech was out last week and had ordered the part. The agent went on to apologize but said there wasn’t any notes in the system. So we started all over and he placed the order for the refurbish item. He came back two weeks later on July 17, 2017. He installed the part and said it was in working order. Done deal right?/wrong again, we opened the garage door to park the car in and the garage door came down on the car. Since July 17, 2017, I have called and requested for a superior to call me back and for a tech to come out and as of today August 2, 2017, the garage door is still not working. No call back from any manager or tech. On July 31, 2017, I opened an electrical claim for our electrical panel. The appointment was scheduled for Wednesday, August 2, 2017. An electrician came out and asset the repairs. He then called the results into Sears Home Warranty and they denied his bid. They said it was too high. Then the Sears agent requested to speak with me to let me know that a work order was opened for a second bid. The contact information was provided for the second bid and was told I would receive a call within 30 minutes. I waited 6 hours and called the second bid electrician and he said he had no work order and he did not service my area because he was over 100 miles from my home. I called the Sears customer service line again and was told I would have to cover the second bids gas. I advised Sears rep that I was not going personally cover his gas expense and to find someone in my area. I also explained that the level of service and run around game was not settling well with me. I also explained that the running around appears to be common practice with all departments. I also requested a manager call and still haven’t received one. Her is another example of the horrible service. I also advised the agent that a complaint was placed with the Better Business Bueruel, with Sears Corporate Office, Social Media and that I was going obtain legal counsel if these issues weren’t resolved in a timely manner. At this point I want to cancel my warranty with a full refund of my premiums and deductibles I have paid. I am also a victim of Choice Home Warranty. This company does not honor their agreement. The customer service or "no customer service" received by this company is a mirror of the unethical, unscrupulous business practice they exemplify. I think it's awful that all of the unsuspecting consumers have to POST,and file complaints for anyone to investigate. There should be consumer protection laws that shut these companies down. It's enough wasted time and energy on these companies that refuse to do business the right way. SHAME ON YOU!! on ,4/ 27 2017 I have the same issue with American Home shield Warranty. They denied my claim for the AC due to maintenance even without asking for my maintenance records. They are the scam. I would like to be part of any class action against them. The only thing that went well with my claim was the ease of filing the claim on line. I was contacted the day after I filed my home warranty claim in the morning and a service technician was dispatched to my house that morning. The speed of the initial response was good; however, upon arrival the actual service was very bad. The technician that was sent to my house barely spoke English and was unable to communicate any repair issues with me. The technician told me that my AC unit was low on Freon and asked for the $45 service fee. I asked why he was not fixing the unit and I was told that he would have to do a leak test and that he needed Choice Home Warranty to approve the test. He then left my house with my money and no repair was made to the system. I had to call you to find out what the next step was and I was told I would have to pay for the leak test. Later that day I contacted 2 additional AC companies and was told by them that a leak test is a standard diagnostic test and they never charged additional fees for this service since you can't fix the problem unless you know what the problem is that needs to be fixed. I called back the service company and they came back out and performed the leak test charging me $150.00. They again left. I was told that I had several leaks on the outside unit. What I was not told was that he cut a hole in my attic unit and that the condenser cable was totally frozen. He also did not mention anything to me about any rust or corrosion. I am now out $195 and the unit is not fixed. I placed several calls to your company and was told that my unit would not be covered due to rust and corrosion; again I was not notified of any rust or corrosion. I was also told that my system was a closed system and should never leak Freon; at the point it was leaking then you should have made to repairs since this would indicate that there was a problem. As stated before I called 2 other AC companies and luckily one was able to come out that evening. At this point I was told about the frozen condenser coil and the hole that had been cut in my attic unit. I have since replaced my entire AC system to my house costing me several thousand dollars $15,637. I have had a home warranty since 2000 (with the exception of 1 year). I have never had another company send out a technician, tell me there was a problem and not be able to fix the problem. I find this totally absurd that you would send a technician to diagnose the problem but would not authorize any repair until they played the keep on calling game to get approval. Your exclusions literally cover any reasonable repair request so your company does not have to cover anything. Since central AC units are housed outside and subjected to weather it is normal that the system will have some rust/corrosion. I was able to get the other technician to verify that my system's rust/corrosion was actually caused by the Freon leak and that it would not have been detected unless someone ran a leak test or took the system apart. Since I am not an AC technician I did not detect the leak, but I did maintain the system. You have contacted me so many times offering a free month of service if I recommend friends/family. Since I value my friends and family I would not recommend a company that offers such shoddy service and treats their customers with such disdain. This was my first claim with your company and I will NEVER recommend your service to anyone and will NEVER make another claim with your company. I will however tell everyone I know to never use your company. I will also spend a great deal of time making sure that I post negative reviews on as many sites as possible since your company deserves to be shut down. I have already contacted the news to investigate your practices in the DFW area. I have discovered class action lawsuits against your company and you still continue to be unethical in your business practices. Below is just a sample of the wrongs you have committed and how poorly you treat your customers. The Better Business Bureau has collected more than 1,800 complaints on Choice Home Warranty over the past three years. No other warranty company has received more complaints from the Greater Houston area, according to data obtained from the Better Business Bureau for Greater Houston and South Texas. Choice Home Warranty agreed to pay nearly $780,000 to settle a lawsuit by New Jersey’s consumer protection office. New Jersey officials alleged Choice Home Warranty used deceptive tactics to deny customer claims, including requiring people to submit multiple years of maintenance records before even reviewing a claim. Scores of other Choice Home Warranty customers blast the company online calling it unethical, a scam, and a business that gives any excuse not to pay a claim. The company also has a "C-" rating with the Better Business Bureau based on its volume of complaints, amongst other things. I'm all in for a lawsuit against Select Home Warranty. We are about to file suit in small claims court but this company needs to be hit hard in the pocket book for their false/misleading advertising, horrible customer service and flat out lies. There needs to be a class action against select home warranty, I had to sue them to get my claim processed. Is there a class action against "Select Home Warranty"? They have more exclusions than coverage. I called to read their agreement, and was told that only after I pay, I will receive the agreement. My tech, found issues in the faucet and was told it will need to be replace. Choice Home do not cover it. Choice Home Warranty has denied our claim claiming rust. Heat pump is 12 years old and heat stopped working 8 days ago. Tech came out and diagnosed cracked heat exchanger. Tech told them unit has been properly maintained and not abused. However they noticed a little rust in the pictures and used that as reason for denial. We had to call everyday and we were told they were waiting for authorization. When we called on Sat and asked for senior support in corp they referred us to "Andy" who didn't even listen to my detailed record of events (6 claim reps 4 supervisors...cause every time you get someone new! He didn't even have time to review their own notes before he said denied. I am reporting to local news station and consumer affairs. Andy says we have no recourse but I believe we can arbitrate. If any class action in TN we are interested! I have a homeowner's warranty policy and recently my toilet began leaking and it turns out that it was due to a slight crack on the tank. The homeowner's warranty company is denying my claim for repair on the grounds that it was "damaged" by me and is not usual wear and tear. How do I handle this? Is there a class action against Choice Home Warranty? I have the same issue with Choice Home Warranty. They denied my claim for the AC due to maintenance even without asking for my maintenance records. They are the scam. I would like to be part of any class action against them. Choice Home Warranty is supposed to cover all major appliances including Air Conditioning Unit. My Air Conditioner was not working well so I called the Home Warranty Company to have it repaired. The repair was requested on July 6th. I did not receive a call to address the claim until July 8th. They were busy and having trouble finding a technician. The technician they assigned was not available until July 10th, now 2 more days. I asked for different technician with faster response. They would not offer another technician. The technician came to my house 6 hours late. He never once called to say he will be late. I wasted entire day waiting for him. Upon inspection, the AC Evaporator Coils were said to be leaking the Refrigerant. I asked the service technician to replace them. He told me he must get approval from Warranty Company. Two more days went by, now July 12th, and no response for the claim. This is six days total. I called to complain and they told me claim was denied. The Home Warranty should cover my Air Conditioning Unit. The Claims Supervisor and Claims Manager both state they will not cover the $2,000-$2500 repair due to general liability exclusions. Also, the service has taken 6 full days. This was considered an emergency situation since I live in Texas and its life threatening to not have air conditioning in summer. Claim Supervisor and Manager denied all claims and were extremely rude. This company is well known for denying all claims. Even the contractor said I have a 0% chance of getting this paid. He said they do this all the time to people with evaporator coil issues. Please let me know if there is anything that can be done or if there is a pending class action suit being formed. We reported the water leaking to American Home Shield on 2/10/2016. They sent the first Plumber to us and the plumber's initial investigation was wrong. He told us he would call us to see whether he could find the parts on the second day. However, we wait for a whole month without responses. I called AHS again and they told me they would call the plumber company. Everytime was the same answer and finally this went to the solution team and they called the company and the plumber came to the house. However, this time they told us they couldn't fix the issue because the wall needs to be broken and the AHS needs to find the third party to do it. We called AHS again and they sent the second company came to do the investigation. This time we told the plumber what was wrong but he told us he knew what was wrong and he would order the parts and fixed it next time. So one week later he came but he did the wrong evaluation so he called AHS and told them we had to break the tile of our bath room to give his access. He didn't tell us how big he needs. I talked to AHS and asked why we need to provide the access to the trouble and I was told the warranty didn't cover the tile broken but only dry wall. So I hired the local contractor to break the tile to provide the access to the plumber with my out of pocket money $100. However, the plumber came and told me the space was not enough. I asked him what the size should be and he didn't provide. I asked AHS to give me the size and they also didn't provide. The plumber sent me an photos without size and this time we thought we cut the wall big enough. The contractor came and told us the space is still not enough. The bath room started to get mold due to the leak and we paid the higher water bill due to the leak too. Now we couldn't remember how many times we have called AHS and they and the contractor are still playing the games. I almost give up and want to fix it on our own money but just feel whether there is some organization existing for consumers. This is like fraud. We paid the insurance and we paid the out of pocket money for the service but the problem is still there for more than 2 months. Anyone can help us here? Thank you so much for any recommendations and solutions. I filed a claim with HSA 13 days ago regarding a leaking hot water heater. Today I still have no resolution. I have been sent on a round robin of calls and hold times and hang ups (they love to say their phone system is having issues which seems like their process to have people give up). I was told HSA would order the hot water heater but it still has not been delivered to the plumber that they assigned to the service. They can't provide an update and always defer to a mysterious parts department that you can't speak with and is always gone for the day (which seems convenient after you are on hold for one to two hours). The replacement will be approximately $2,500 ad they seem to be stalling (or maybe they have bad credit and the wholesaler wouldn't send the water heater). I have offered to have the service done myself if they will send me the claim amount, however they have said I have to fund and they will send a check a few weeks later (I am sure I will never get anyone on the phone when that is an issue). To date, they will not rectify the situation, provide an update, get someone on the phone who can solve the problem, or do anything other than tell me wait more days and call back. Everyone says they will call me back, but they don't. This seems like an outright fraud and breach of warranty to me. I would warn everyone to stay clear of them! I think 2-10 warranty is a big joke. KNOT builders Matthews NC built my house in 2011. Just after about a year I saw some crack in ceiling. I contacted builder who said he it's not covered in 2-10 Now I see another crack with the first crack widening. also there were multiple cracks in garage floor but he said it's the concrete and they can't do any thing about it( garage cracks were before I got possession of the house). If any one has any idea how to proceed legally in this matter please let me know. NATIONS RESIDENTIAL SERVICES in Dallas TX. They could not repair my AC and would not replace it even though their contract claims the BENEFIT of having an agreement with them is that you will not be burdened with unexpected large expenses. They are very sweet when they sell you the contract, but become very unfriendly when they are on the hook to pay up. Anyone on this board have any experience collecting from such scammers? Thx. I am having a awful time with this company . Can someone contact reguarding a class auction lawsuit ? We bought a house in April with a 12-month home warranty from American Home Shield. Our home inspection revealed NOTHING wrong with our HVAC - both heat and air operated just fine. Shortly after closing, the air went out. AHS sent a tech out to our house to fix it. Great. Well, in mid-October, we turned the air off and the heat on, but NO HEAT actually came on. We called AHS again. They sent a different company out, and that company said the tech who came out in April replaced 1 part with an incompatible part, and removed a vital piece of equipment. And the tech said he wouldn't fix it - - we would have to have AHS send the original company back out. After 2 weeks and a TON of back-and-forth, AHS finally tells us that the company from April is no longer one of their contracted providers because - get this - they had a bunch of complaints about them... So they send the other guys back out. They diagnose the problem... We wait another week... And AHS calls me today to say "too bad, we'll give you the cash to buy a new part to replace the incompatible one (but the compatible one is not actually made anymore so good luck with that), but we won't do anything about the missing part, and we certainly won't replace your furnace". You know, even though their tech is the one that BROKE it in April. So what am I supposed to do? I got the warranty SPECIFICALLY so I wouldn't have any major expenses tied to the new house's MEP systems right off the bat, and AHS is trying to weasel its way out of coverage. I recently purchased the 3 year term with Choice Home warranty. WORST mistake ever. Recently had my dryer breakdown > had a service technician come > opened the dryer door and looked at it > without opening any panels or anything > he determined there was 7 things wrong > Choice Home warranty denied my claim stating it was a pre existing condition > there was no inspection done prior to starting my contract with them > my dryer worked just fine before this > now they are denying the claim stating it was pre existing because they DONT want to pay for the service. This company is a scam and needs to be PUT Out of business. They deny claims on BS reasons and are getting away with this. Wondering how we can file a class action suit against this scammers. Normal wear and tear and the technician even state it was normal wear and tear damage > and they are denying the claim! Please AVOID Choice Home warranty at all cost! Truly mean that. You will regret if you sign up and it will be nothing but a headache. AHS would not cover the repair of AC although I have a home inspection report that we did during the purchase of the house. They claim it is too close to the wall which caused the generator to burn after 12 years??? how did it last the entire life expectancy which is 10-15 years. We have been without AC for 2 weeks in 90-100 degree weather with 2 toddlers. Silverstein v. First American Home Buyers Protection Corp. scheduled for hearing 2:30 PM, Bexar Justice Court Precinct 1, Place 2, 9/18/15. Petitioner alleging Breach of Home Warranty Contract after substantial compliance and replacement of items, initially denied coverage with the complicity of Respondents 24 Karat Pool and Spa Services, Jim Hanson, Owner, and Lucas Home Services, James Lucas, Owner. Petitioners are due promised reimbursements after initial cash outlay to fourth subcontractor; Petitioner was placed in agency role and required to "loan" moneys to FA based upon promised reimbursements. Essentially, a breach of Contract and agency without a license. Full documentation available; Texas Real Estate Commission (TREC) Ms. Cindy Mahoney apprised of progress of the case. Any interested persons may see file and be apprised of the outcome before Justice William E. Donovan. If you have a planned/pending Class Action Lawsuit against Choice Home Warranty Company, I would LOVE to be included! Can give specifics on denied claim if necessary! This company is a SCAM, cheating people like myself. They only pay small claims. I was provided a home warranty with Choice Home Warranty as part of the house sale when I purchased. Literally 2 months after I closed, the a/c started making a HORRIBLE noise. Turns out the ball bearings on the motor etc were bad. The contractor fixed the issue but then Choice DENIED the claim stating my contract was "too new". I have had this contract since May and it is now August. How "old" does the contract need to be before they honor the terms of the contract? I have the Total Plan and they are purposefully trying to deny the claim so they can pocket the funds and screw over the homeowners. The only people that benefit form these scams are realtors (who push the product), contractors and of course the warranty company. A CLASS ACTION AGAINST CHOICE HOME WARRANTY needs to be happen as well. I purchased a brand new house in 2006 from Centex. They offer me a 10 year manufactures warranty thru RWC (Residential Warranty Corporation) 2 years ago my a/c unit went bad and call them, well they said, your unit has a limited manufacture warranty and that specific unit expired 2 years ago, and at the time I was on my 7th year, the repair came out my pocket $3.500 later problem fix. Now I'm on my 9th year, and 3 months ago I tried to switch home owners insurance and they were not able to provide insurance due to some cracks on the exterior walls which I did not even knew about it, tried to contact RWC again and they give me some technical engineering explanation about 3/8 of an inch gap and about a foot long. Well a gather all the info and pictures they ask for it, and now I just got a letter that is telling me,they review my warranty and I'm only have a limited warranty on the verneer brick for the first year after they build it. One of the things I have learn about insurances and warranties is that they are constantly changing the rules and every time I think about it I get frustrated, due to the fact that I'm buying a product that I'm afraid to used. I purchased three policies with Stanley Warranty (NJ). Since then for five claims, they did not send a single representative to service claim. For two claims, they asked me to get it fixed myself and did not reimburse later. On remaining, they did not respond at all! When I approached to cancel the policy, they will not return any money. On top of it, they sent me a threatening e-mail! TOTAL FRAUD! Bought a new home from Toll Brothers for $700,000. The home purchase agreement and warranty clearly states that “Basement Damp-proofing: Bituminous coating on exterior, below-grade concrete walls (10 year manufacturer's warranty).” The walkout basement is damp and builder is not doing anything about it. Denies coverage. Trying to fix faulty home items by sub-par contractors who charge you for each visit. Choice Home Warranty denied my claim to repair my heating system. I paid $1,650.00 for 3-yr + 6 mo. free coverage. They told me the plan I bought only covers two out of three units I have, so I need to pay the difference to cover the third unit. I told them how many units I had when I bought the policy, and nowhere do they state that I have to pay additional monies to cover a third unit. My invoice from them simply states: TOTAL PLAN: Clothes Dryer, Clothes Washer, Refrigerator, Air Conditioning System, Heating System, Water Heater, Electrical System, Plumbing System, Plumbing Stoppage, Built-In Microwave, Oven/Range, Stove, Cooktop, Dishwasher, Garbage Disposal, Ceiling & Exhaust Fans, Ductwork, Garage Door Opener, Whirlpool Bathtub. In Feb of this year, we paid Sensible Home Warranty $994. We have never had to use them and I just found out on the web they are closed. According to something I found on the web, they were already shut down in at least one state back in 2012. They have not returned our money or notified us at all. $994 in 6 months and never used. Please help. Thank you. Since we bought the home in June 2011, we have been fighting with the A/C company all summer long, ever summer. They are constantly sending someone out to "fix" my A/C. It has never worked for more than a week at a time. I am prompted to seek legal help because I cannot fathom another nightmare of a summer with my kids in the house that is just as hot as it is outside, if not hotter! This warranty was included as "peace of mind" for us when we bought the house, and obviously we have renewed it every year for fear of having to pay for the A/C issues ourselves. Please help! Claim denied. Cancelled policy. Was subject to a 25% cancellation fee in November 2011. It's February and I haven't received a refund and no one will return my calls. I've called and they have ONE representative who changes her name with every call and there's never anyone else available. we have an active policy at a home up for sale with AHS and have never had a problem with that one so we got one on the new home. we have been here since august of 2013 and have had 3 claims denied, one that we were told since I have medications that have to be refrigerated at an even temperature and the refrigerator at first was freezing everything and then stopped working all together on a sunday. we called and were told to put the medication in a neighbor's fridge as they could not get anyone out to DIAGNOSE the problem before 5 days and then they would be looking for parts for a fridge from 1991 Montgomery Wards (none exist for years), parts were not available but they would not replace. we were told we could replace it ourselves and then apply for reimbursement so we did and reimbursement was denied as we did not wait the 5 days for the tech to come out and diagnose it. now this week they are doing it again to us. we have an electric tankless water heater, which they were aware of when we got the policy, and they have no contractors that can work on electric ones, only natural or propane gas. so they authorized outside service but will not allow me to use the one place that had put in the system because they won't wait for 90 days for payment. I am disabled and medically homebound, they do not care that I need hot water daily for part of my respiratory therapy. the original installer came out and diagnosed it, parts are not available as the manufacturer is defunct, and here it is 5 days later and AHS hasstill not found another place other than our current one that works on electric tankless water heaters. they refuse to reimburse us or pay direct the company that has all they need to replace the unit ready to be installed since three days ago. they can't even get a tech out here or found one that can do electric yet so it will be whenever they can get someone out here. then it will be someone who will diagnose it and have to look for parts as they won't let them replace it. since we do not have the funds to replace it ourselves and it has to be paid up front due to the cost of the unit, we have no credit cards and can't get a loan since we still have two mortgages, therefore if we want hot water we have to boil it. AHS for the last two years on the old house and for this whole time we have been in the new house, have denied every claim and refused repairs even when we have waited 3-5 days for their tech to come out. they would not fix the leaky bathtub faucet because it was too close to the faucet and they don't do faucets only pipes and they would have had to remove the faucet to fix the pipe. cost us $75 twice now in the last 3 months for them to diagnose the problem and tell me they don't or can't or won't fix it. stay away from AHS it is a ripoff. American Home Shield has sent plumbers to my home on three separate occasions for the same problem with the same toilet, and refuse to replace the improperly functioning appliance. The water dispenser system in my refrigerator in my rental property was not working. I called Fidelity with whom I have my home warranty. The TP service provider 'A1' charged my tenant $75 for the electrical wiring that got cut inside the refrigerator door. As per Fidelity, it is not normal wear and tear as it was cut. The reasoning provided by the technicain was that the wires were assembed so close to the door that over a period of time, opening the door cut the wires. These are wires inside the refrigerator door. AHS would not repair a bad A/C unit. We have been w/o AC for 2 weeks in a 90-100 degree weather with 3 small children (less than 3 years old) in the house. We would like AHS to cover the repair of the unit and other misc cost we have covered as part of the dispute process.